This is personal and has very little do to with WoW so feel free not to read. My Grandmama was admitted to hospital last night, jaundiced and with some sort of infection. To say I’m scared is an understatement, despite the chaos and constant upheaval that was my childhood, my Grandmama was always there to anchor me. I tend to forget that she’s ninety now and frail, skin like crumbled paper and bones so light, it’s not a huge stretch to imagine her flying, floating through the sky, cackling with glee. Instead when I look at her, I see the woman she was when I was growing up. She taught me that the strongest steel is forged in the hottest fires, that regardless of what life throws at you, you pick yourself up and keep going. I know that the inevitable will come, that there is no turning back time and that one day, probably quite soon, I’m going to have stand up and give her eulogy. 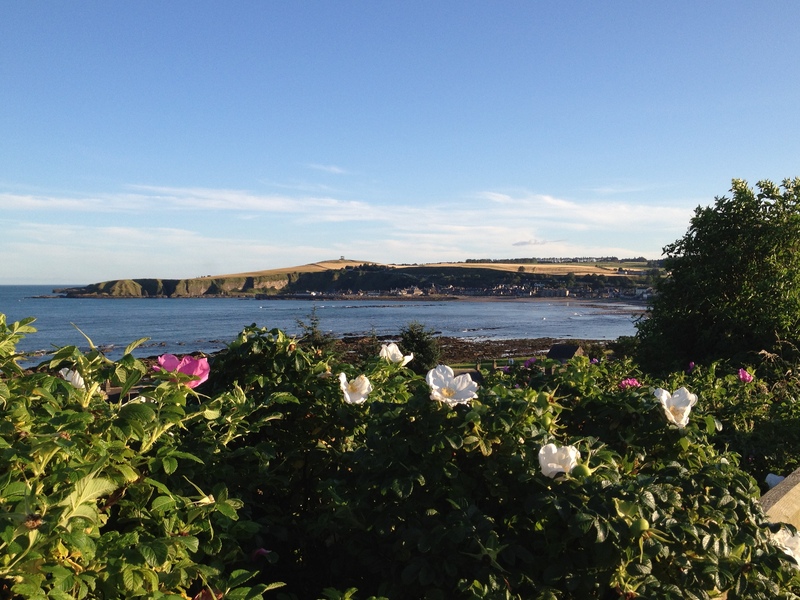 Mixing the fun, the picnics with ginger beer and sliding down banisters on cross channel ferries eyed disapprovingly by passer-bys with her struggle with blindness and deafness, with the fact that she has buried two husbands, a brother, a sister and a son. I’ve always hated change, partly I think because my parents dragged me from pillar to post across Europe as a little girl and partly too because it makes me think of death. Of funerals and holes dug in stony ground, of that sickly scent of lilies and rotting wet leaves (it always rains at funerals). As soon as I made some friends, got settled into school, we were off again so I’d have to begin the cycle all over again. This was the pattern, inter-spaced with hours spent in churchyards watching as what was once a loved one was locked in a box and buried beneath the earth. “Home”, which meant first my Great-Grandmother’s and then my Grandmama’s was the only constant I knew, everything else was boxes, suitcases and learning to live somewhere new all over again. As an adult I like my life to be ordered and controlled, I like to know my schedule in advance and I hate surprises. 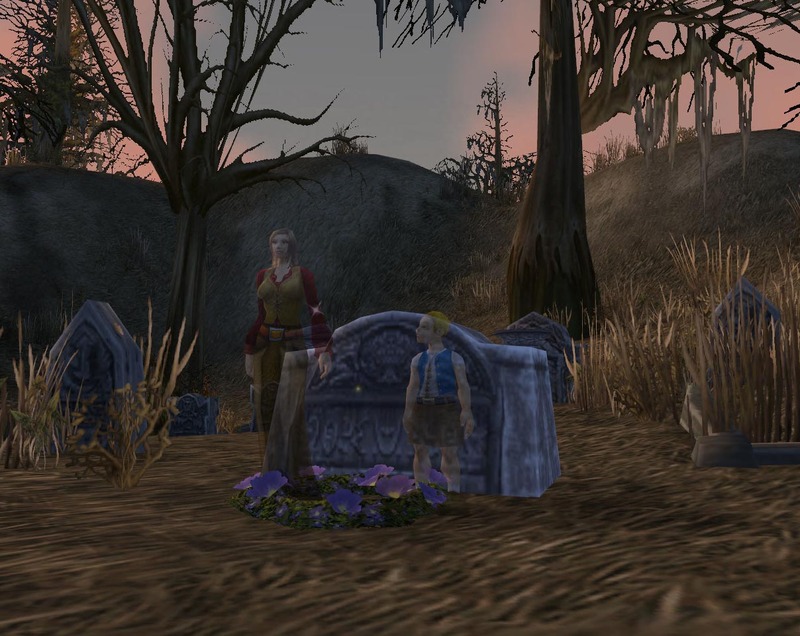 Then last night I found out about my Grandmama before I logged properly into WoW post patch and somehow it felt like my world was rocking on it’s axis. 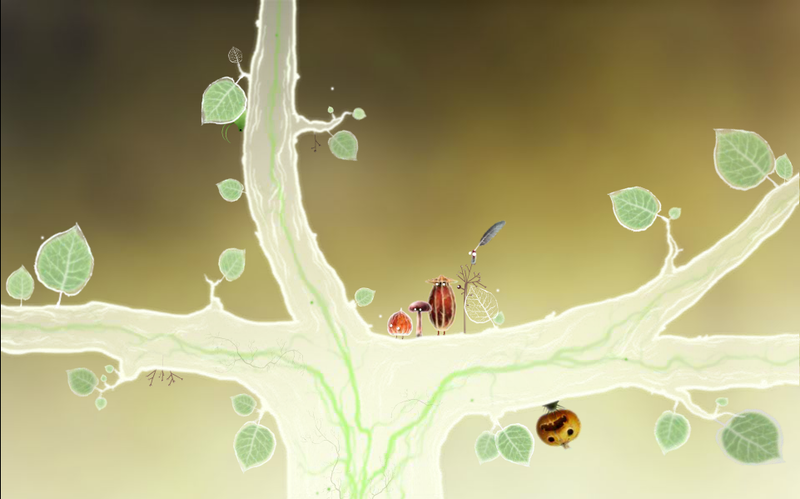 I thought that I’d hate the game, the shared achievements, the simplified talents and the new travel form. As it turns out, I was wrong about most of it (sorry, not a stag fan) and now, whilst I’m waiting for the phone to ring, I’m comforting myself with my Great Grandmother’s words uttered before she died, rolling her coins for the ferryman over and over in my hand. I’m seeking comfort in something the rational side of my brain knows to be a lie but somehow, the ways of my childhood give me strength. 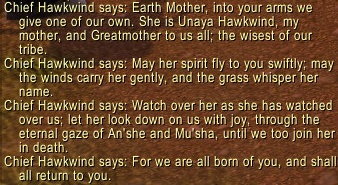 Earlier tonight, I found myself running through the Greatmother quest line in Mulgore. Perhaps not the best choice in the circumstances but somehow I just ended up there and I know that both my Great Grandmother and my Grandmama would approve. Whether we like it or not, the world keeps turning and when that day comes, my final gift to the woman who helped me find my feet in this rocky world will be to honour her memory. Mixed feelings and enough pumpkin to make a giant pie. 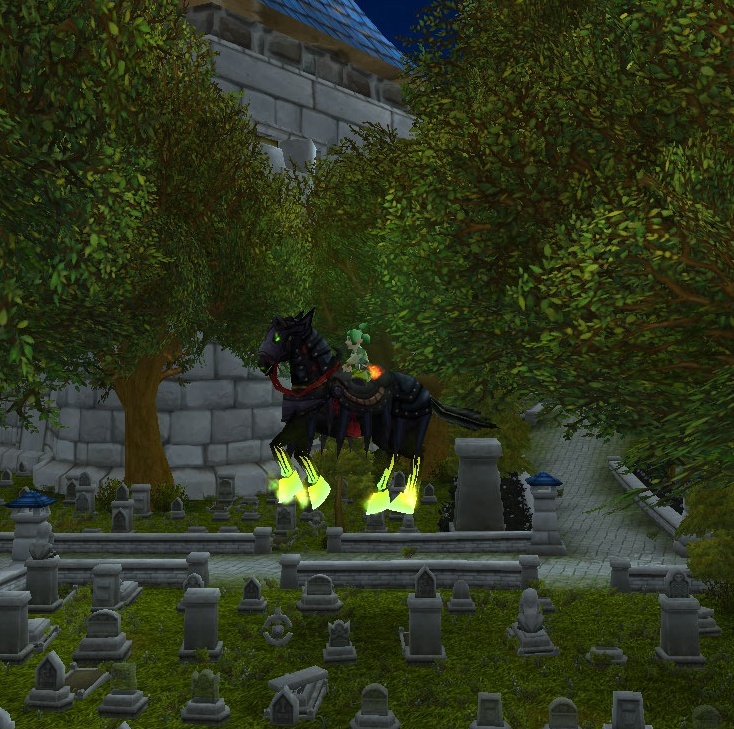 Last night Sprout went to bed a scrub with 2 titles, 25 mounts, 3660 achievement points and 43 pets. 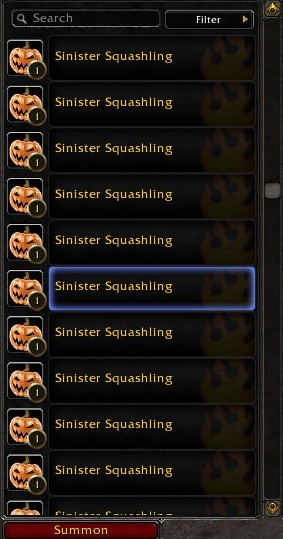 This morning she woke up, still a scrub but with 30 titles (including the Bloodthirsty, Conqueror of Ulduar and Hand of A’dal), over 10 000 achievement points, 91 mounts (ignoring the Horde ones) and 157 unique pets. There might be more but I got sick of logging characters and decided to start playing around instead. It’s hard to put into words how I feel about this. I know I’ve written about account wide achievements before but that was before they were implemented and I could see exactly what I’ve got. Sure, it’s nice to be able to ride the Headless Horseman’s reins on a character I actually play and it’s wonderful to be able to summon my Hyacinth Macaw rather than have it linger on a character that hasn’t been played properly in years but I still have a sense of doubt tingling away. First of all, the lack of consistency annoys me. I have the achievements for five different pvp ranks but the titles are only accessible on the individual characters who ranked up back in vanilla. 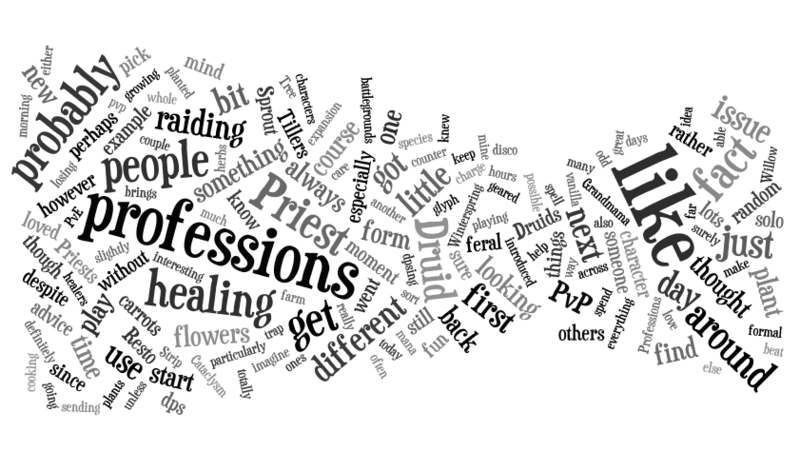 Compare that with the fact that I got “the Bloodthirsty” title from shared hks from 3 Priests, 2 Druids and a Mage. Personally I feel that all titles and achievements should be account wide or none should be, having exceptions here and there is just messy. Did they do it to stop people using the old pvp sets for transmogrification? Perhaps but that goes against the whole concept of account wide stuff. 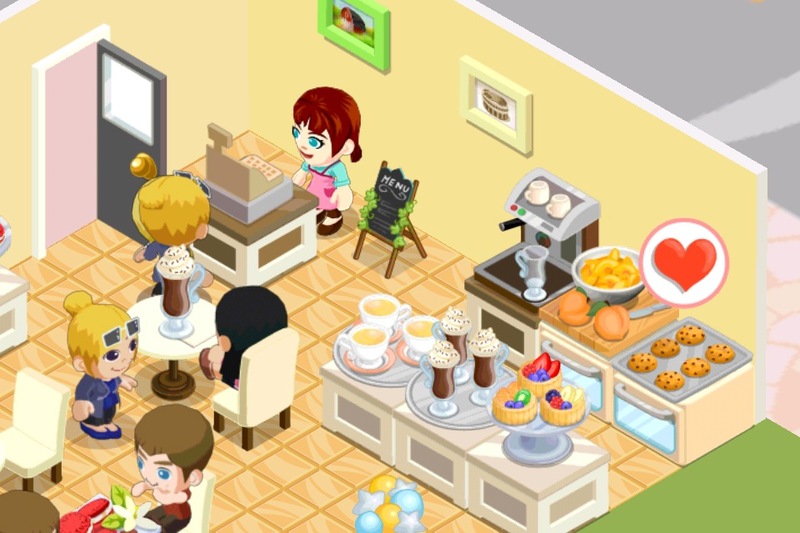 Whatever happened to “It’s you the player who achieves things, not the pixels on the screen”. I’m also slightly miffed by the fact that I don’t have access to my chopper and other such mounts just because they currently reside on a Horde character, it’s still one account. This did sweeten the pill a bit though. I like the fact that it tells you which character achieved a specific achievement. 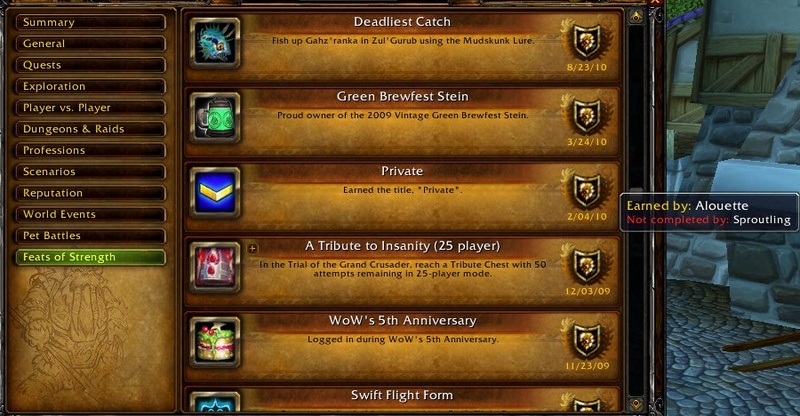 The fact that Blizzard keep adding achievements also helps. It doesn’t look as if we’ll run out of things to do any time soon. I am fairly surprised by this. I knew I had a lot of evil vegetables but didn’t realise I actually had army of them. Sprite darter hatchlings and Snowmen are also clearly breeding in my bags. So far the patch and playing around with it’s various bits and bobs has been a far more positive experience than I was expecting. Anticipation is starting to build. On a slightly different note, my battletag is Erinys#2261, feel free to add me if you’re in the EU! 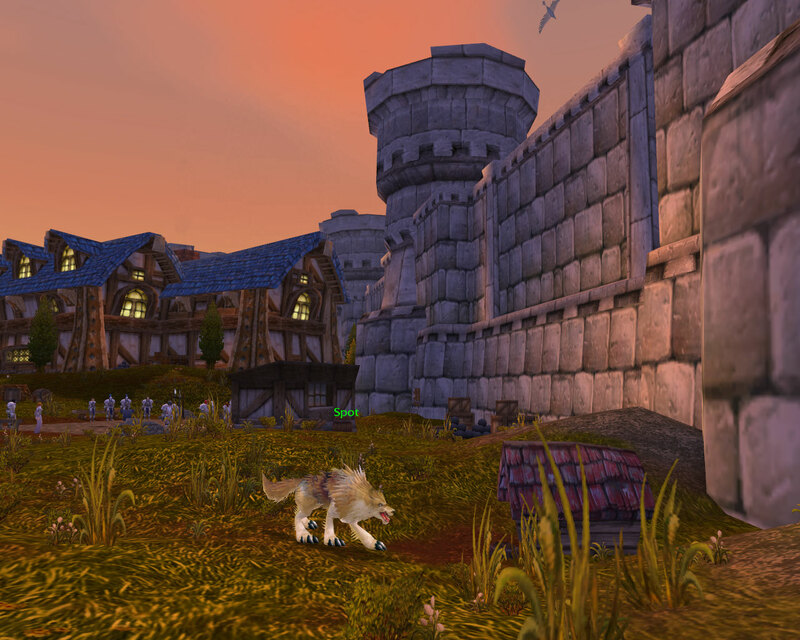 Theramore as it currently exists is one of my favourite cities, a place which holds many happy memories for me. 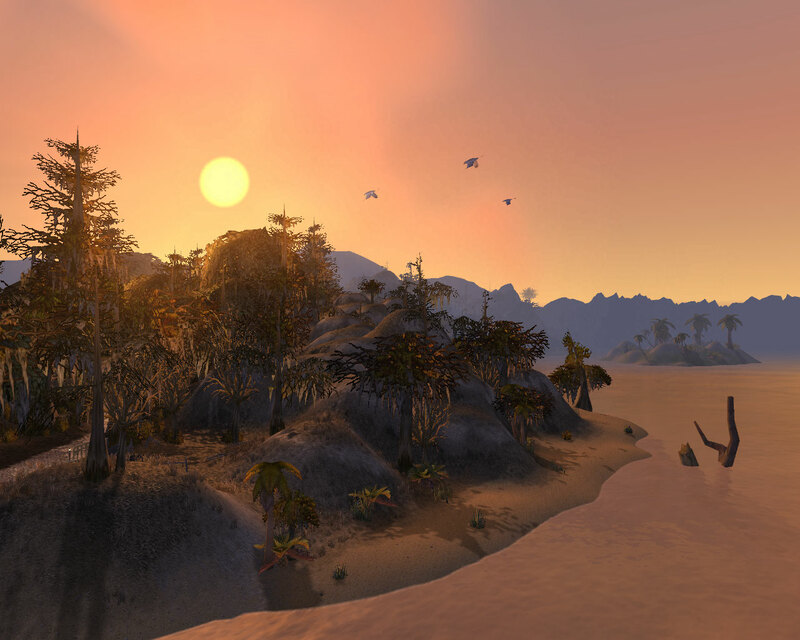 From my first and rather pathetic foray into dubious RP with long forgotten Nightelves in the Inn to pvp on the long and twisting road through the marshes. 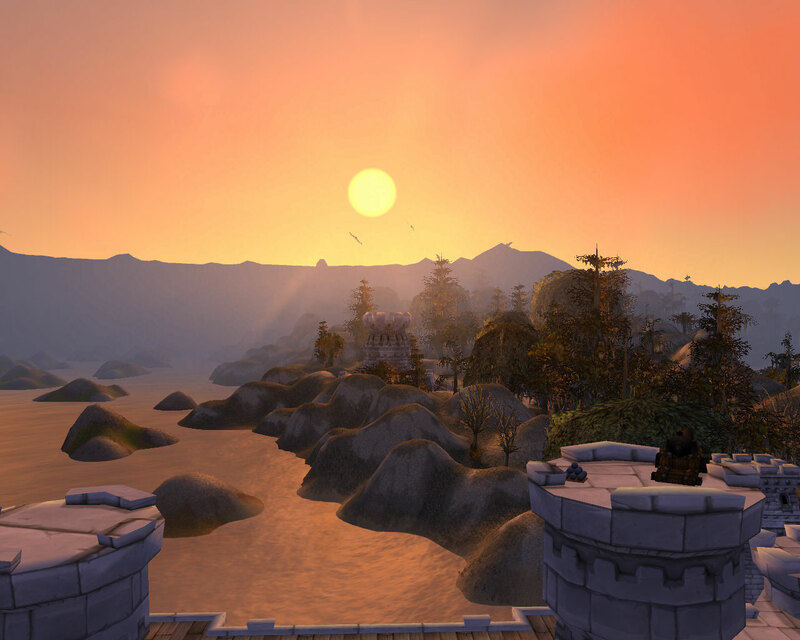 Disembarking on the dock having sailed from the Wetlands to take on a dragon in her lair and sitting fishing on the pier watching the sun sink behind the horizon, painting the waves pink in it’s wake, so many things spring to mind when I think of Theramore. The scene is set and the players assembled. 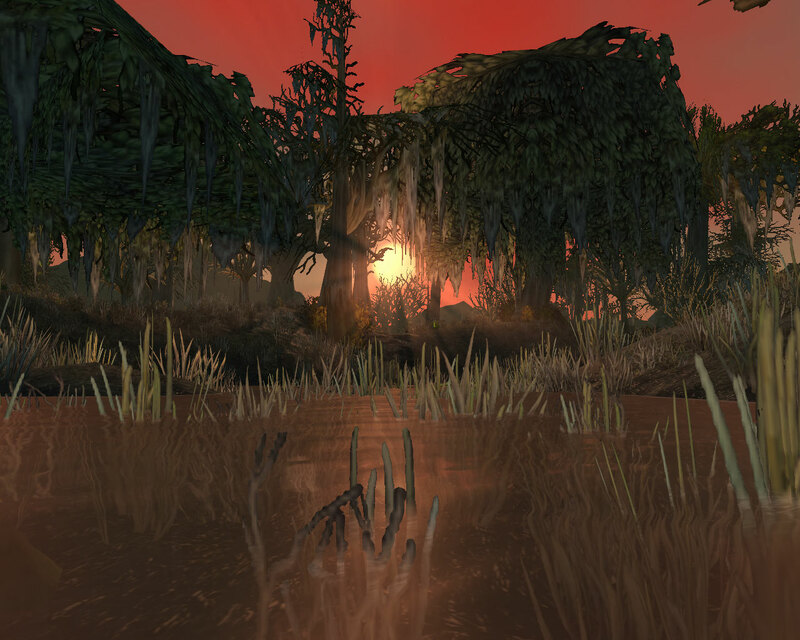 Soon the Marsh will never be the same again. I struggled a bit with this, going backwards and forwards through the freezer section trying to make up my mind. 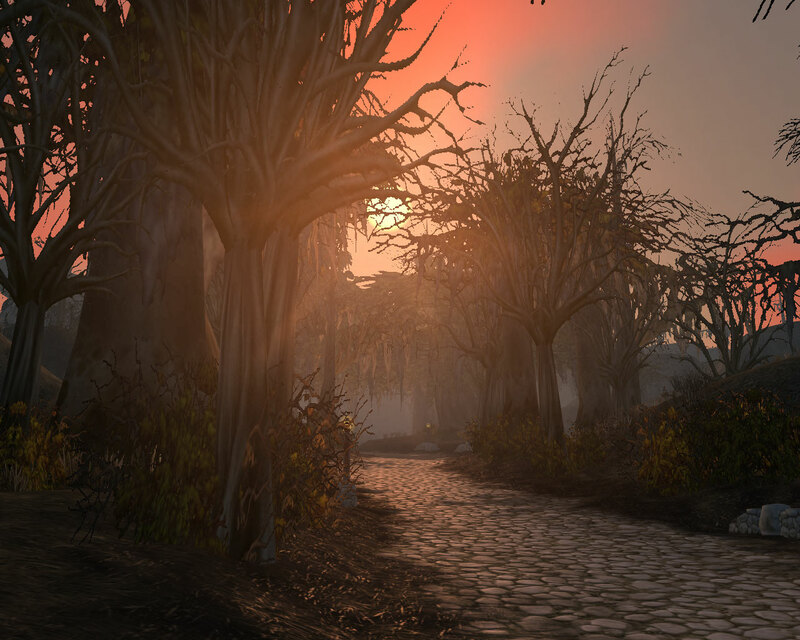 When we arrive in the Outlands, it’s most definitely a rocky road through Hellfire and onwards into the other zones. Everything is crumbling just like the crushed biscuits and there are definite soft and gooey spots to represent the marshmallows, the Black Temple for example was a favourite of mine. 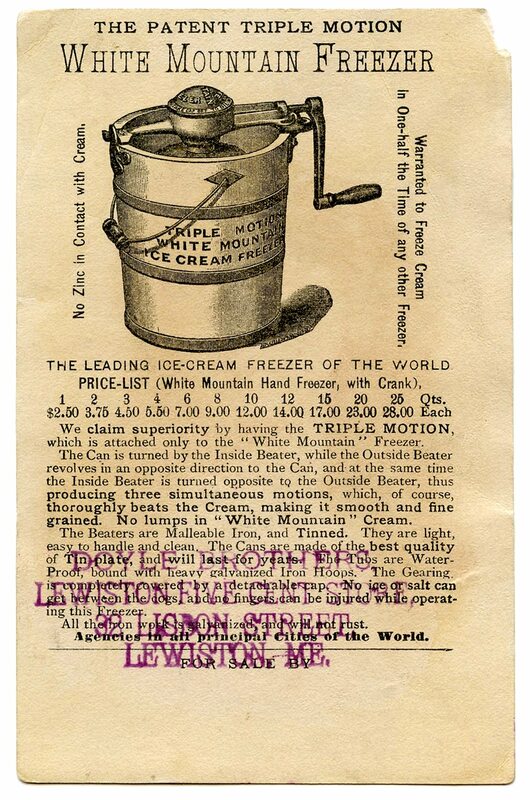 Unfortunately, just as with Rocky Road the icecream, there are also glacé cherries like Lady Vash’j, the bits you want to avoid but can’t really. Slightly sickly with a touch of purple is how I’d best characterise Wrath. Whilst Ulduar and the revision of Naxxamas were fine, as is honey lavender icecream at least for the first few mouthfuls, as the expansion wore on, the vomit inducing stickiness increased. By the time Cataclysm rolled around, I suspect most of us were happy to wash our mouths out with something new. With a hint of sourness but a refreshing after taste, Cataclysm cleansed the palate from the aftermath of Wrath (and the tournament shenanigans in particular). 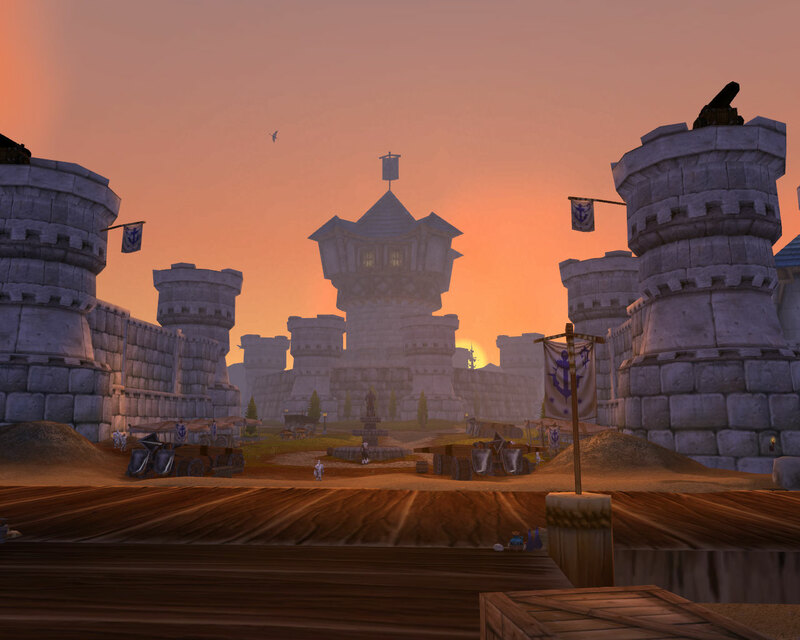 It might not have been the most popular expansion yet but it brought a revamp to Azeroth which was needed. 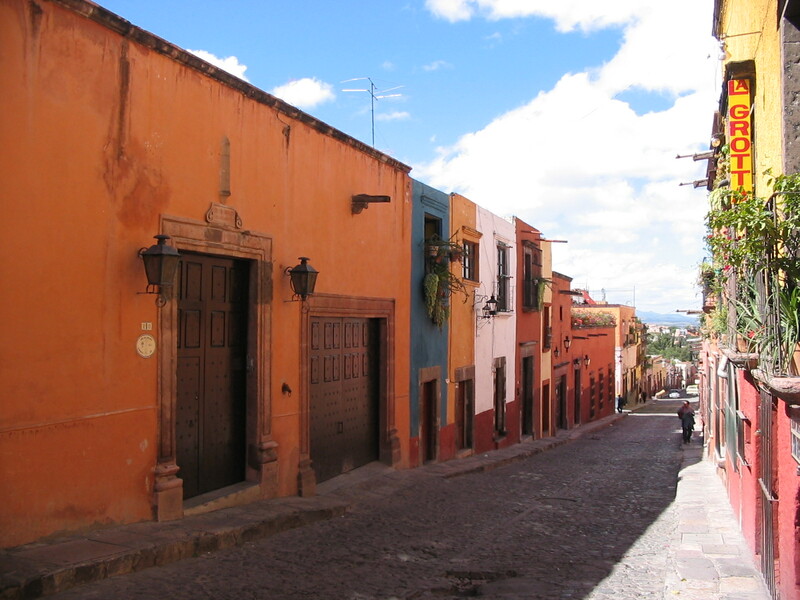 Whilst we were in San Miguel de Allende, I had the most amazing Margarita icecream. There was just a bite of tequila on your tongue before it softened into the taste of lime and sugar. I could have eaten the entire tub it was so beautiful and standing on the cusp of MoP, that’s how I see the forthcoming expansion. 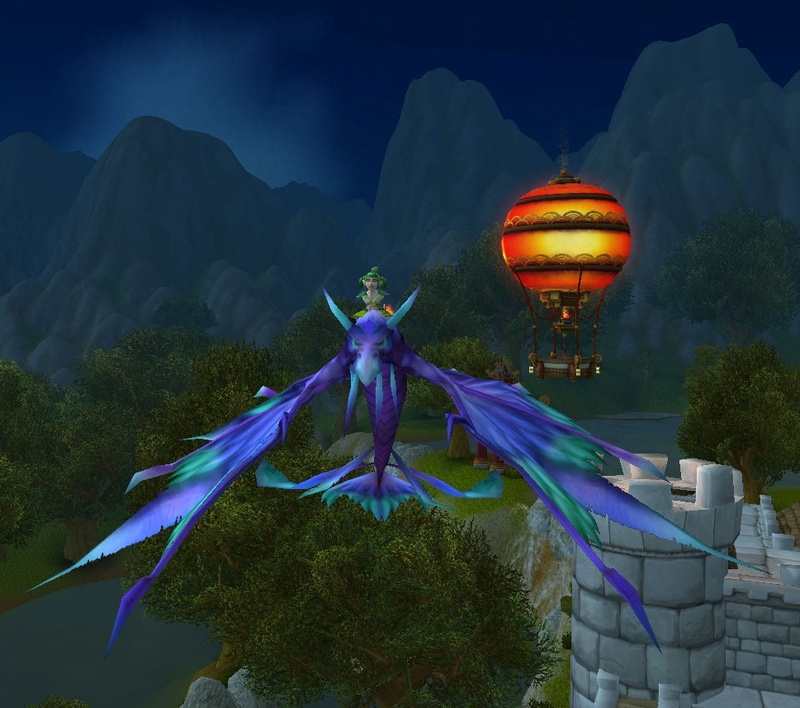 It had that same freshness, that same excitement on the tastebuds and that same sense of wonder I feel now as I prepare to step into Pandaria for the first time (beta not withstanding). 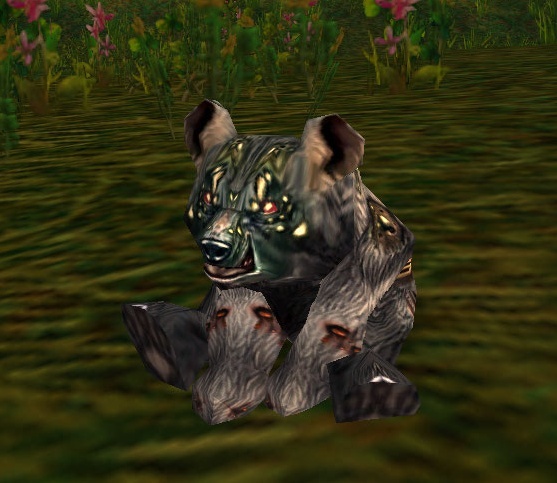 When I ride through Hillsbrad I give those bears with the spider eggs on their back a wide berth because I have this visceral moment of fear whenever I set eyes on them. However this little cub inspires another sort of reaction. I’m left wondering why my heal pet button doesn’t cleanse those evil eggs off his little back. He and his similarly effected brothers and sisters can be found with their parents running around between the mine and the Sludge fields. Yep this is yet another post about the Panda cinematic but I also want to touch on my feelings about the lack of a “big Bad”. I know Blizzard have taken quite a bit of flack over that decision, but I feel its the right one for a number of reasons. When we curl up with a murder story, we don’t know the villain from page 1, perhaps by the half way mark we have a good idea who did it but it’s rarely spelt out until the last few pages. In many regards WoW functions in the same fashion as a book, it’s a never ending story, each patch a chapter which unfolds as we play it. Knowing the destination from the start removes some of the fun from the journey as well making little sense from a literal perspective. Why in Wrath for example did we waste time and lives fighting Old Gods and taking part in a tournament of all things when we could have just knocked on the door of Icecrown Citadel. Perhaps we weren’t strong enough to take him then but we never tried, we just got derailed by the plot. 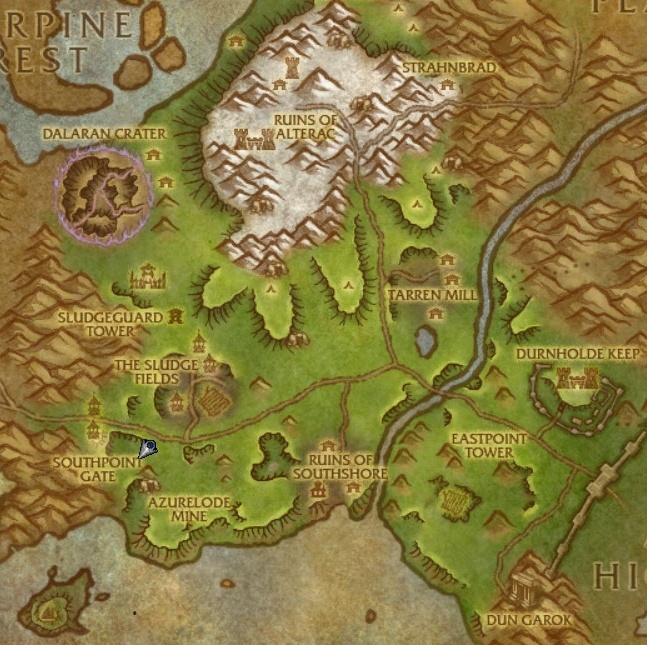 I’d like to think that Pandaria is an expansion of storytelling, an expansion where the focus is more on why people do things we class as “evil” rather than pulling out the old generic excuse that something external corrupted our heroes. I hesitated in quoting Hannah Arendt here but her comment about the “banality of evil” is I believe relevant here at least a topic of debate. The Horde and the Alliance have been at war so long, with each other and against outside forces that some of those negative emotions are bound to have seeped in. Mass murder, torture and burning villages have the bread and butter of our “heroes” and so surely the line has been repeatedly crossed. Do we know what’s worth fighting for any more or has that all been lost in the bloodshed which has become a way of life. 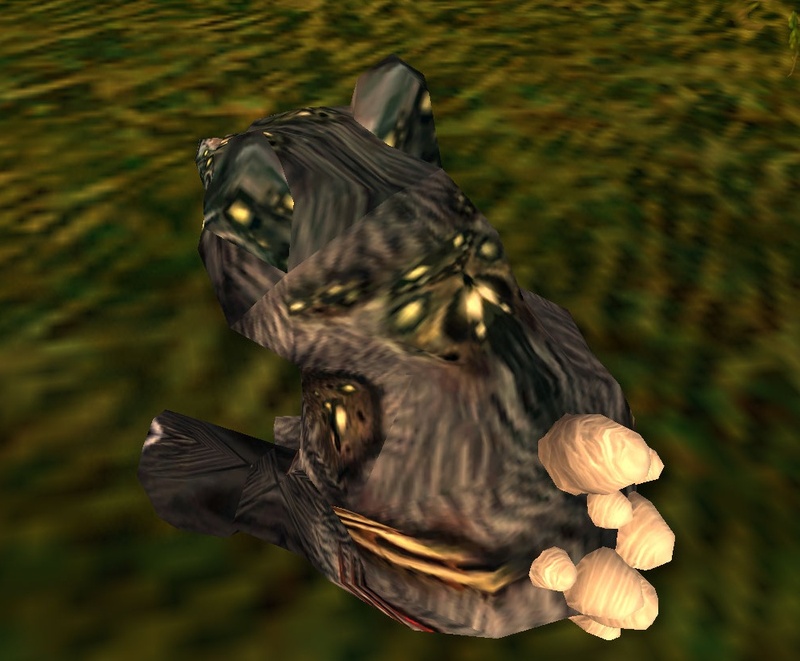 Then we also have the Sha to contend with, manifestations of negative emotions, they stalk Pandaria taking strength from the anger and hatred we brought with us. From the Temple of the Jade Serpent we know that they can amplify our feelings, bringing us to the point of destruction and thus Pandaria could be very dangerous for some of our Heroes. It will be an interesting path to walk. Is it as exciting as knowing that the huge dragon, demon or guy with a very big sword who just committed some atrocity in the opening cinematic will eventually die to our swords, perhaps not but as a study into human nature it could potentially be far more interesting as we witness the twists and turns of the plot. Now when I watched the cinematic two thoughts twisted through my brain, the first, wonderfully covered by Apple Cider was the lack of any female characters and the second was a sense of deja vu. Some feeling of familiarity that took me a while to chase back to it’s source. When I was a little girl I loved reading stories of adventure and one of my favourites was “The Lost World“, I suppose I secretly hoped that somewhere hidden from sight, dinosaurs still roamed the earth just waiting for us to discover them. He had the face and beard which I associate with an Assyrian bull; the former florid, the latter so black as almost to have a suspicion of blue, spade-shaped and rippling down over his chest. The hair was peculiar, plastered down in front in a long, curving wisp over his massive forehead. The eyes were blue-gray under great black tufts, very clear, very critical, and very masterful. A huge spread of shoulders and a chest like a barrel were the other parts of him which appeared above the table, save for two enormous hands covered with long black hair. This and a bellowing, roaring, rumbling voice made up my first impression of the notorious Professor Challenger (from the Lost World). Both Admiral Taylor and General Nazgrim fit that mould, where men and orcs are manly, tough and happy to run around bare chested. I’ll also admit to a slightly dubious thought involving impalement and Admiral Taylor’s very large pole but I’m going to blame that on this. In many regards I like the fact that Blizzard have stayed consistent, reusing familiar characters (Nazgrim has been with us since Northrend and Taylor at least since Vashj’ir). These are NPCs we’ve already fought along side and whilst I would have loved to see a female Pandarian beat them to a pulp, I think that’s a good start to what has the potential to be a wonderful adventure complete with monsters and amazing scenary.